She liked it. 🙂 Here’s a few more photo’s of my most vital organ haha. 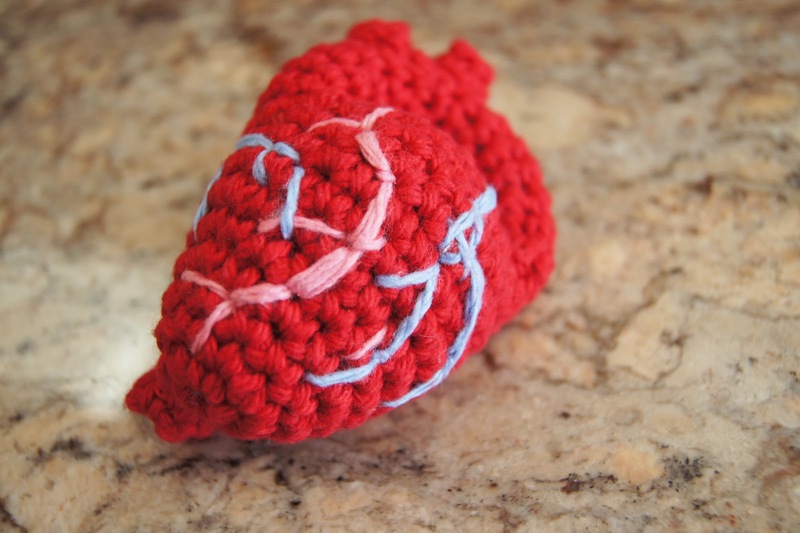 Because this was a special gift for her, I don’t plan on coming out with a pattern. Besides, I was only born with one! So this was my idea for her gift, what do you guys think? Mother’s day is coming up soon, and I’m always looking for some good ideas! Anybody have any? 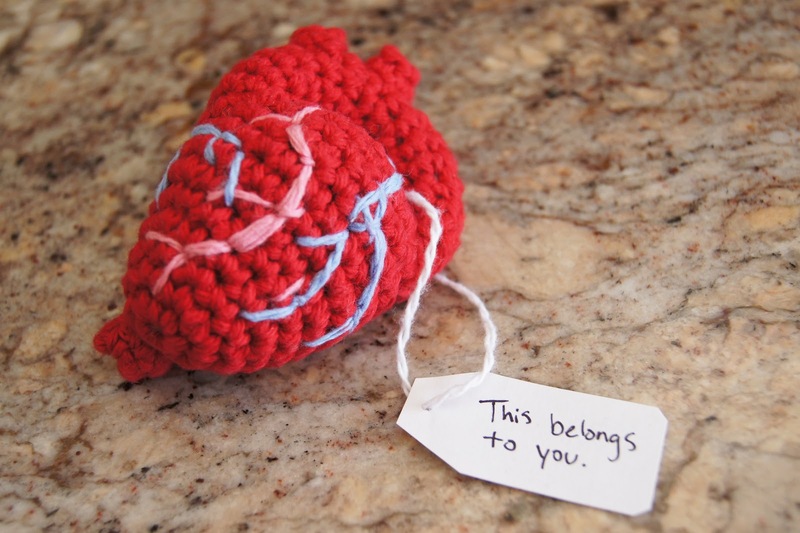 This entry was posted in Amigurumi, Blog, Heart, human, Life-like, Organ, real on April 16, 2012 by Louis Mensinger. This is really cute! 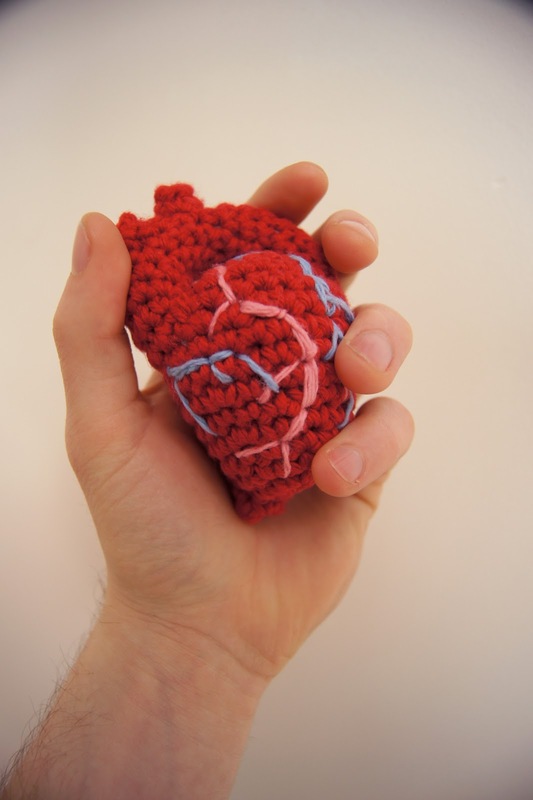 I would love to see a pattern, or at least some tips on how to put the 3 blood vessels on top. 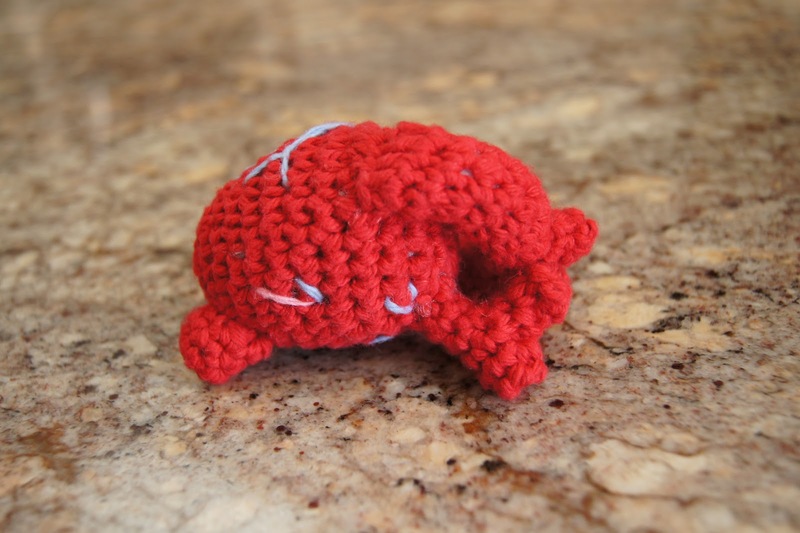 I've got the basics of amigurumi down, so I think I could make most of the heart, but the top stumps me. Thanks for any advice! Basically what I did was I made one big tube with two openings where I crocheted on the valve things, then i just sewed it on. haha, it's hard to explain. I did the same thing for the Y looking valve thing on the back. Did that help at all?